A group of students at the summit of Cairngorm. The success of a ground-breaking winter mountain safety partnership between St John Scotland and Mountaineering Scotland has led to its expansion into the autumn months as well as winter. The project, funded by St John Scotland, is aimed at young people, with an experienced mountain safety instructor working directly with members of Scottish university mountaineering clubs. The scheme began in the winter of 2015-16, when Nick Carter MIC took up the new post and over the season attended 11 weekend meets with 10 different university mountaineering clubs. He worked with the clubs, giving on-the-hill training to 86 students, teaching them about winter skills, winter mountaineering and winter climbing, depending on their existing levels of experience. He also gave evening winter safety lectures to 181 students and gave informal advice to many more as they discussed their plans and preparations. 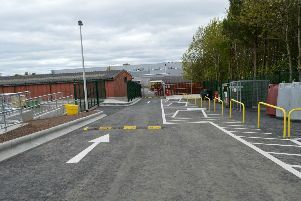 By the end of the first season St John Scotland was so impressed by what the project had achieved that it was extended to include this winter and next. Now the organisation, which also provides substantial levels of funding for Scottish mountain rescue teams, has agreed to expand the scheme into the universities’ autumn term. This will allow pre-winter training which will prepare often inexperienced students in advance of the less forgiving conditions in winter. Nick said: “Feedback from students who took part last winter was that more days of training would be very welcome. Winter weekends were already fully booked, so I suggested to St John Scotland that I could work with student clubs on their autumn weekend meets. This will allow me to give instruction to more young people and to teach general hill skills which will make a good foundation for the winter season. Training weekends have already started for this winter and are fully booked. Now St John Scotland has confirmed that in addition to next winter’s sessions, they will fund 20 days’ training for clubs through September and October this year. Angus Loudon, St John Scotland’s Executive Director, said: “Following the success of Nick’s mountain safety training for students, St John Scotland is delighted to confirm the expansion of his post to include the autumn months, providing more training for Scottish university mountaineering clubs. David Montieth, Mountaineering Scotland’s director for mountain safety, said: “The extension of the mountain safety instructor programme into the autumn months provides an opportunity to further improve the basic hill skills of Scottish students so vital for their forthcoming winter adventures.